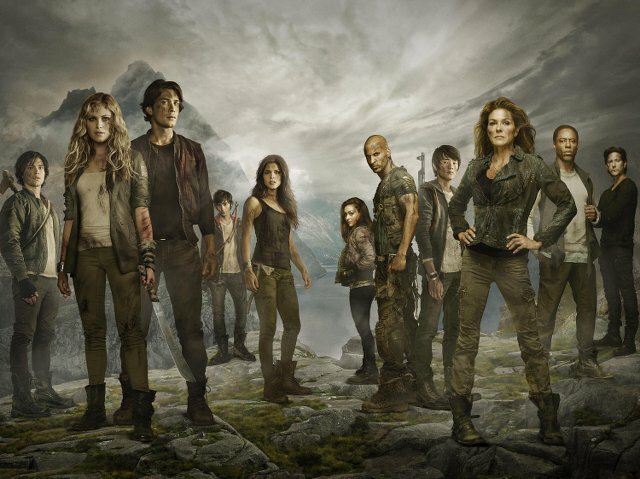 The 100 proven to be a huge hit for E4 when its first season arrived in the UK last year. The sci-fi drama tells the story of 100 juveniles who are sent to Earth to see if it is inhabitable 97 years after a nuclear wiped out almost all life. Over the course of the first season we saw Clarke (Eliza Taylor) and Finn (Thomas McDonell) try to maintain order with The 100 as they learned to live on Earth and faced its many dangers including the mysterious Grounders. One of the breakout stars of the show was British actor Ricky Whittle who rose to fame in the UK as part of the Hollyoaks cast. Now Ricky is making waves in the US thanks to his role as Lincoln on The 100. We caught up with Ricky to find out what the second season of The 100 has in store, to discuss his character being upped to a season regular, and to find out if we’ll be seeing him back on Mistresses when the show returns later this year for its third season. 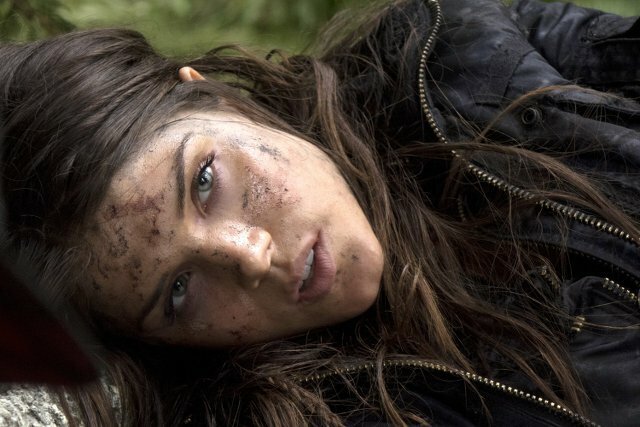 The 100 returns for its second season this week in the UK. What can you tease in terms of what fans can expect from it? The second season I think is even darker than the first. We shocked a lot of people in the first season by going quite dark. There were unexpected deaths, a lot of surprises and a real shock factor about the show where by the audience were not sure which directions we were going; we would go in one direction then flip it. The first season was about the physical threat and the physical darkness that was around but season 2 is more of a mental darkness. There’s a lot of characters going through some quite dark journeys emotionally, especially my character Lincoln. He’s on an emotional rollercoaster and goes to a very dark place. This is a character that had a very strong moral compass and was essentially a good guy but his limits are going to be tested this season and his relationship with Octavia is going to be really tested. Lincoln went on quite the journey in season one and viewers didn’t really know what to make of him for a while. At the end of the first season Lincoln disappeared with Octavia as the war was breaking out. How will he be reintroduced in season 2? We’ve got some fantastic writers here. It’s one of the reasons I moved to the States and I love that way that the writers over here give people what they need, not what they want. The characters are very complex and very layered. All the good characters aren’t necessarily always good; they make mistakes and they all have flaws. The bad characters have a perspective, which this show shows. In the first season the Grounders were seen as bad but it was later revealed that flares that were sent off by The 100 to signal The Ark actually burned down the Grounders’ villages which initiated the war for them. You can see why the Grounders were so angry and aggressive. This season is going to be the same. There’s going to be some bad characters and they’re not necessarily going to be all bad. They have their perspective and they’re doing good for themselves. With Lincoln he starts off this season with Octavia and they’re alone. It picks up with direct continuity from season one so Octavia has an arrow in her leg and Lincoln’s trying to help her. As we saw in the first season all Grounder injuries aren’t that simple and the arrow is going to be poisoned. They are in a race against time to heal Octavia before the poison takes. Basically that’s where we’re going to start off. The fans were very much taken by the Linctavia relationship, I think that’s what everyone is calling it, so the more the audience and fans want Octavia and Lincoln together, the first thing the writers are going to do is split them up. These two are going to have two very strong emotional and very physical journeys. We’re going to try to create that tension and that urgency to bring the two back together. Lincoln was a recurring character in season 1 and he’s a regular for season 2. The response to your character from the viewers has been fantastic. How did you feel about that? It’s always an honour to be recognised and for fans to take to your character. As an actor you want to inspire and you want to entertain, and make a difference whether that’s good or bad, you’re loved or hated, you’re a good guy or a bad guy. You just want to matter and you don’t want to be a character that no one’s fussed about either way. For the fans to take to Lincoln is a real honour and it justifies all the hard work that you put into it. It inspires you to try and do the same the second season and do even more. He is a great character and this is a show I’d watch even if I wasn’t in it. It’s got some fantastic actors in the show, actors that I grew up watching on Channel 4; Ian Henry Cuisick from Lost, Isaiah Washington from Grey’s Anatomy and Paige Turco. There’s the new breed coming through too that people might not know so much like Eliza Taylor, Bob Morley, Marie Avgeropoulos and Lindsey Morgan. There are characters for everyone! There’s strong women and strong men and like I said everyone is flawed and has their own perspective. Lincoln is the character I would have chosen. He’s a stoic, strong silent warrior with a heart who falls in love. It’s the Romeo and Juliet story. I get all of the action and the fun and get to act that out and I get the romance as well. It’s a very appealing character for me to play. Luckily the fans have taken to him. Will we get to see Lincoln interacting with characters he’s never shared the screen with before in the new season? Yeah! For the first season Lincoln was pretty much in a love cocoon with Octavia which was lovely because Marie Avgeropoulos is a fantastic actress and great fun; we have a lot of fun on set and hopefully the chemistry came through. In the second season the characters are going to go through a lot of journeys and there will be new dynamics because The Ark has come to Earth. We saw Abby and Kane take their first steps on Earth and those are actors I grew up watching and I do get to work with. The Ark has come down but they don’t know about Earth. It’s like Mum and Dad are home and their initial reaction is to take over, put the kids aside and say ‘we’re in charge now’. They don’t know about the perils that the Earth has and they don’t know about the Grounders. It’s going to be a real struggle for power between the two. There’s going to be a lot of new dynamics and relationships in this season with everyone trying to find their place on the ladder. Alongside The 100 you’ve been gracing our screens as part of the cast of Mistresses too. Your character arc was left unresolved by the season 2 finale. Will you be returning for the third season of the show? Throughout the season I spoke to the producers and they were very complimentary. I had a fantastic relationship with Rochelle Aytes who played my love interest April. We had great chemistry and it was a lot of fun. It’s very different to The 100 and fortunately we were able to fit them both in. After The 100 wrapped I had a week off and was able to start Mistresses. As Mistresses finished I had a week off then was back to The 100. It fit perfectly into my schedule. We’re in talks and we spoke all season about maybe coming back for season 3. Fingers crossed if everything goes well I’ll definitely go back and honour that because working for ABC and Mistresses was a lot of fun. They’ve actually been moved up to Vancouver so they’re going to be up here as well. It’s going to be very different because it was a lot of fun filming in L.A. in the sun but it’s during the summer months and Vancouver is a great city. The girls are going to love it up here and hopefully I’ll get to show them round. You’re obviously going to be very busy juggling two major shows this year but have you got anything else in the pipeline? It’s really tough when you’re a regular. On Mistresses I was in 10 of 13 episodes so I was a regular in two shows. It leaves you very little time and I had a week off between each show. Occasionally you do get some downtime and I get a day off here and there. I’ve managed to do an animation, which was a lot of fun, a show called Very Mallory over here, where I got to play myself. It’s a comedy and that’s going to be coming out this year. My management are also looking at scripts for feature films and we’re going to try and squeeze one in if we can. It depends on timing. It’s very tough and we have to compromise so hopefully The 100 or Mistresses can bend. Devon Bostick (Jasper in The 100) is a very talented writer and I’m looking at a couple of things with him. I’m also writing my own script, a romantic drama, so fingers crossed I can get that finished and look at making that. I’m trying to keep busy. I sacrificed a lot to move here and I don’t want to waste that opportunity. If you’re going to chase your dreams you go big or go home. You give 110% and don’t live with any regrets. While I’m here I’m going to do as much as I can and work as hard as I can because there’s always that person who’s willing to work harder. Whilst people are sleeping, partying and having fun, I’m researching, writing, taking acting classes and working with dialect coaches to make myself better. You want to be working. This is the centre of the industry where all of the talent comes and you have to be ready and on your toes. I had to start again from scratch and you really have to prove yourself over here and be on your toes. The only way you can do it is through hard work and patience. I’ve been lucky to work since I moved out here and the UK has only seen a couple of shows. I’m working hard and hopefully it’s starting to pay off now.